Since Uber launched its ride-hailing app in 2009, competitors like Lyft, Ola, and Didi, have been mushrooming across the world. Some of them have focused on a more regional approach, taking local cultures into account when designing their product. Careem is one of these, as the company founded in 2012 has worked on adapting its offering to the local customs, such as letting people pay by cash in countries where credit card usage isn't widespread. With a name meaning "generous and humble" in Arabic and services in line with people's way of living, Careem managed to become very popular across the Middle East. Maybe a little too much, as its arch-rival Uber is now acquiring it for $3.1 billion. This deal essentially means Careem will become a wholly-owned Uber subsidiary, but both apps will co-exist — at least for now. Indeed, customers will continue to use their apps the way they're used to, though a unified one might be in the making, as the press release mentions a "super-app" that includes access to services like Careem Now (delivery) and Careem Pay. Also, it's simple to see how this transaction will help the two brands save on infrastructure costs, including payment processing, and even roll out consistent driver policies. Lastly, despite being vague, the press release mentions increased driver utilization, which could potentially indicate captains would be able to drive both Uber and Careem users. If all approvals are granted, the closing is expected in early 2020, which gives both companies about a year to further detail their integration and shared vision. 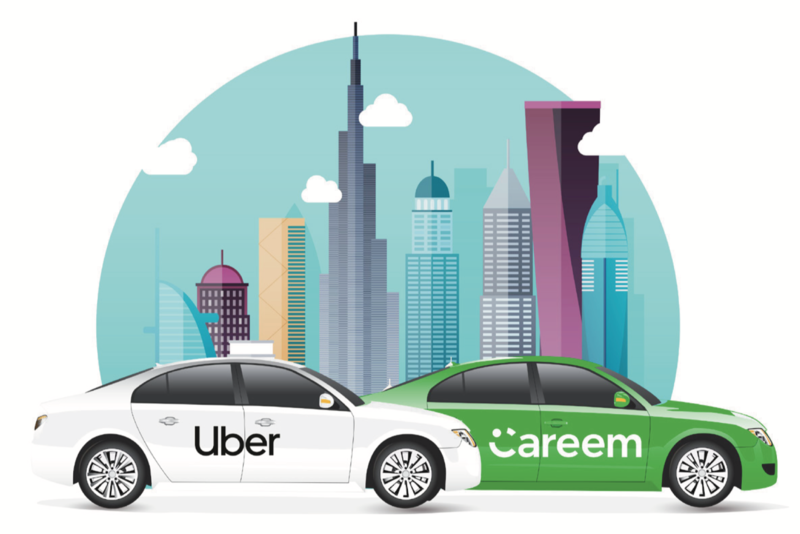 March 26, 2019, SAN FRANCISCO AND DUBAI — Uber and Careem have reached an agreement for Uber to acquire Careem for $3.1 billion, consisting of $1.7 billion in convertible notes and $1.4 billion in cash. The acquisition of Careem is subject to applicable regulatory approvals. The transaction is expected to close in Q1 2020. “This is an important moment for Uber as we continue to expand the strength of our platform around the world. With a proven ability to develop innovative local solutions, Careem has played a key role in shaping the future of urban mobility across the Middle East, becoming one of the most successful startups in the region. Working closely with Careem’s founders, I’m confident we will deliver exceptional outcomes for riders, drivers, and cities, in this fast-moving part of the world,” said Uber CEO Dara Khosrowshahi. “Joining forces with Uber will help us accelerate Careem's purpose of simplifying and improving the lives of people, and building an awesome organisation that inspires. The mobility and broader internet opportunity in the region is massive and untapped, and has the potential to leapfrog our region into the digital future. We could not have found a better partner than Uber under Dara's leadership to realise this opportunity. This is a milestone moment for us and the region, and will serve as a catalyst for the region’s technology ecosystem by increasing the availability of resources for budding entrepreneurs from local and global investors,” said Careem CEO and co-founder, Mudassir Sheikha.